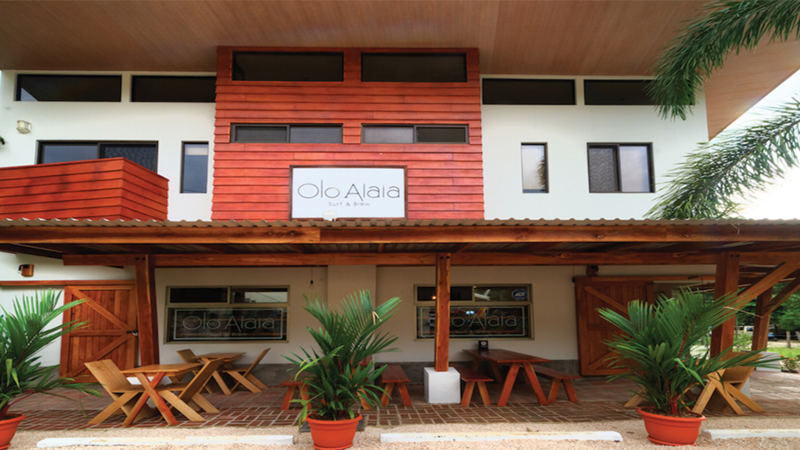 Whenever someone walks into the shop, they wonder why the name, Olo Alaia. Well, we’re here to tell you the story behind the name and the brand. Surf culture roots back to riding waves in ancient Polynesian times. Robbie and Nella created Olo Alaia Surf & Brew because they fell in love with Nosara and wanted to create a space that focused on the lifestyle, culture and true roots of surfing. Olo and Alaia are two traditional Hawaiian surfboards, and the first two surfboards ever built. ‘Olo’ surfboards were reserved for Hawaiian chiefs, and ‘alaia’ boards were for the commoners. 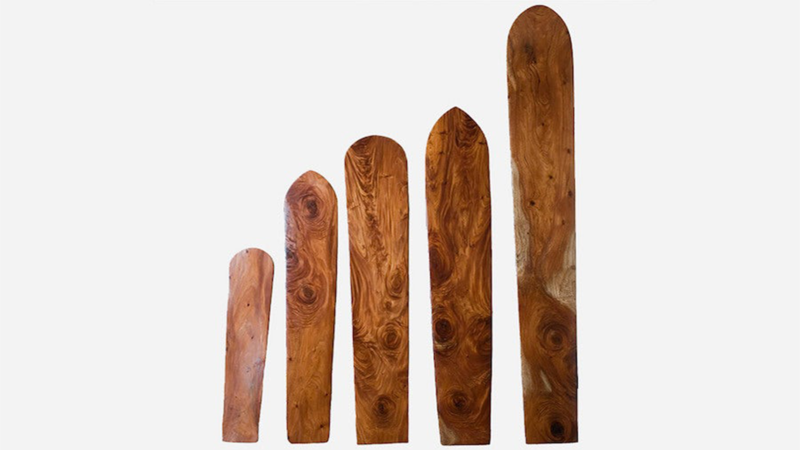 Olo boards are long and narrow, and used to surf gently sloping waves (think Waikiki Beach). 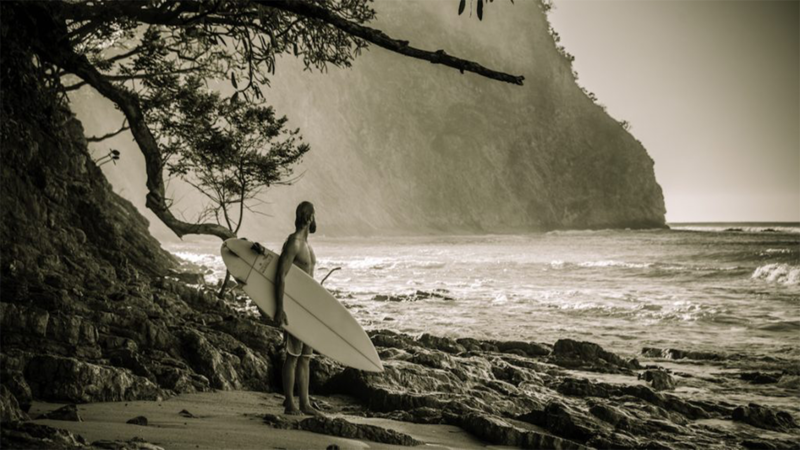 Alaia boards are short and thin, used to surf faster-breaking waves. The boards were typically made out of Koa, ulu and wili-wili (Hawaiian balsa) wood, and were prized possessions way back when. There is a rich Hawaiian culture of surfing that dates back to when The Polynesians used the stars to navigate to Hawaii, found the picturesque islands and made them their home. Captain Cook eventually navigated to Hawaii, saw them riding Olo and Alaia boards in the surf and was the first to document this activity which eventually became a very rich culture and lifestyle globally. When you walk into the shop, you’ll see how obsessed we are with custom surfboards and quality goods. At the cafe, you’ll be treated to the finest cup of coffee or cold brews in Nosara. We live by the Pura Vida lifestyle and welcome people from around the world to stop by the shop, and enjoy what we have to offer. Needless to say, Olo Alaia isn’t your traditional commercially run surf shop. It’s a place where locals, tourists, surf fanatics and artists come to relax, sit back and enjoy a cold brew. We value traditional surf culture; the first-time surfer coming in for a lesson and being stoked on standing up on a wave, or the old-timers who still surf day after day riding waves which has become part of their daily routine. 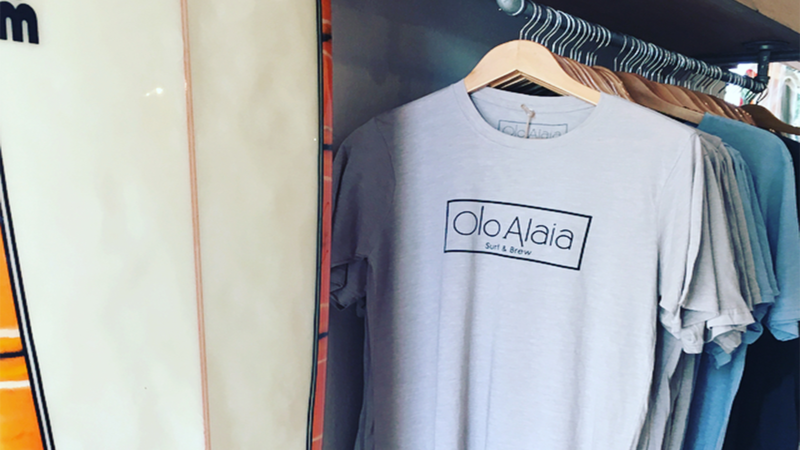 When you walk into Olo Alaia you’re walking into a surf shop that is rooted in the culture and lifestyle of surfing, and that is truly something we’re proud of.